Early tips to the FBI and Florida State Police about the Parkland shooter Nikolas Cruz expressed concern over his behavior, including one from Massachusetts. A caller from Massachusetts told authorities months before the Parkland, Florida school shooting that suspect Nikolas Cruz was a "school shooter in the making." According to a document released by the Broward County Sheriff's Office, a caller from Massachusetts reached out to them in November of 2017. "Caller advised subject Nikolas Cruz is collecting guns and knives. Cruz wants to join the Army. Concerned he will kill himself one day and believes he could be a school shooter in the making," the document reads. The deputy who responded contacted the caller via telephone. Nikolas Cruz had three encounters with police in just over three weeks when he briefly lived in Palm Beach County in November 2017 following the death of his mother. "No report was initiated," the document reads. In an interview after the shooting, the deputy said he referred the caller to the Palm Beach Sheriff's Office as the caller said he believed the Cruz was living in Lake Worth. The document makes no reference to how the caller knew Cruz. The call and response remain under an internal affairs review. Brookline Deputy Superintendent Michael Gropman said it is not surprising that a tip about Cruz came from out of state. He said in today's digital and social media age, it is common. "All those warning signs were there," he said in reference to Cruz. Gropman conceded that it can be difficult for departments to keep up with the "massive" amount of tips received, but information suggesting an imminent threat should be taken seriously. While the Cruz case may make it seem like law enforcement failed to act on numerous tips, Gropman said sometimes the issue is that agencies aren't sharing critical information with each other. He said privacy laws make it difficult for law enforcement to know about school or medical issues. "Until the social service agencies, law-enforcement, education, mental health, and hospitals can all communicate readily about possible, perceived threats, we're not going to be able to significantly affect this," said Gropman. 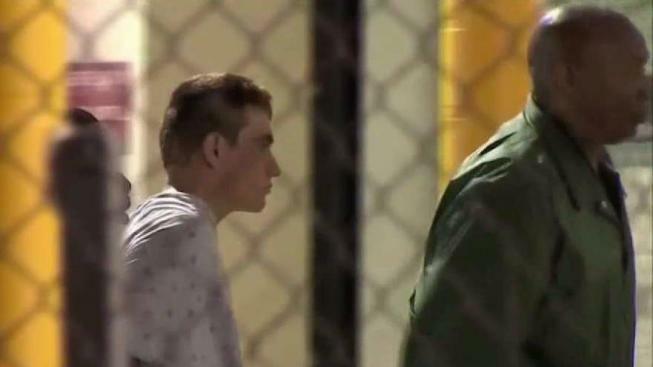 Cruz, 19, a former student, is accused of fatally shooting 17 people with an assault-style rifle on Feb. 14 at Marjory Stoneman Douglas High School. Authorities said he had displayed behavioral troubles for years. The tip from Massachusetts was one of about two dozen calls received by local and federal law enforcement about Cruz's behavior over the two years leading up to last week's school shooting. Many of the incidents involved the threat of violence. Two years ago, a deputy responded to a suspicious incident call in which someone reported that Cruz made a post on Instagram indicating he "planned to shoot up the school." However, the police document suggests the specific target was "unknown." The deputy made contact with the caller who wished to remain anonymous. The deputy determined that Cruz had knives and a BB gun. "Information forwarded to Stoneman Douglas School Resource Officer," the document's response description concludes.